A boy and a girl grow up together in the country and fall in love. He is lured away by a sophisticated woman from the city, she is pursued by two other men, but eventually the young couple get back together and marry. It sounds like the plot of a romantic novel – and it is – but this particular book, ‘Daphnis and Chloe,’ was written in ancient Greece, around 1,800 years ago. Unsurprisingly, as they were written on papyrus scrolls, only five romantic novels have survived from that time, but I like to imagine that the ancient Greeks, when they weren’t inventing politics, philosophy and maths, liked nothing better than to settle down with a cup of wine and a good romance! Skip a few centuries to the Middle Ages, and people were still reading or listening to love stories, particularly tales of heroic knights rescuing damsels in distress and winning their love. The epic poems and other fiction of Medieval times aren’t ‘novels,’ as we think of them today, and they have far fewer happy endings than we might like, but they are certainly romantic, and the names of the couples whose often doomed love affairs are told by Medieval authors are still well known – think of Tristan and Isolde or Lancelot and Guinevere. Another popular romance was that of Troilus and Cressida, which takes place against the background of the Trojan War. In the 14th Century, Chaucer, better known as the writer of the ‘Canterbury Tales,’ wrote a version of this story, ‘Troilus and Criseyde’ in which the hero doesn’t believe in love – until he sees the heroine. He falls for her, she falls for him, there is an exchange of love letters, a night of bliss, mistaken jealousy – all the ingredients of a romantic novel, although, sadly for a modern reader, the story does not end well. Love stories have been told and retold for centuries, but the first romantic novel in the modern sense, ‘Pamela, or Virtue Rewarded’ by Samuel Richardson, written entirely from the heroine’s POV, was published in 1740. In the novel, Pamela Andrews, a young serving maid, constantly fights off the attempts of her master, Mr B, to seduce her, and he eventually rewards her virtue when he proposes. Back in the 18th Century, marriage between a lower class maid and a landowning squire was considered shocking, and Pamela has to wait for her happy ending until Mr B’s family accept her as his wife. More shocking to modern readers is the fact that Mr B appears to be a serial sexual predator, but in its day the novel was a huge success – there were even playing cards and ladies’ fans printed with scenes from the book. Half a century later, in 1811, Jane Austen published ‘Sense and Sensibility,’ the first of her six books that were to ensure the continuing popularity of the romantic genre and inspire romantic novelists right up to the present day. The romance between the feisty Elizabeth Bennet and the proud Darcy, an iconic alpha hero if ever there was one, in ‘Pride and Prejudice,’ their love overcoming the obstacles of her prejudice and his pride, has surely influenced most romantic novels that have been written since. Fast forward to the 20th Century, when, with mass market books readily available to all, and the publishers Mills & Boon starting to sell books in newsagents and supermarkets, the popularity of romantic fiction continued to grow. In 1919, ‘The Sheik’ by E M Hall became a best-seller. Again, modern readers would find much of the plot, in which the hero rapes the heroine, completely horrific, but back then, the book’s extraordinary success led to it being made into a film starring heartthrob of the day, Rudolph Valentino, that broke box-office records. Much more palatable to modern readers, are the books of Georgette Heyer. Her first novel, The Black Moth, published in 1921, was set in the 1750s, but she is still best known for her popular Regency romances, that with their impeccably researched historical background, essentially created and established the historical romance. Another book that had a lasting influence, is ‘Bridget Jones’ Diary’ by Helen Fielding. Published in 1996, this novel, inspired by ‘Pride and Prejudice,’ was one of the first books to be described as chick-lit, and with its hapless yet likeable heroine, it certainly set the tone for many rom coms written since. And no look back at 20th Century romantic fiction would be complete without mention of Dame Barbara Cartland, one of the most prolific and commercially successful romantic novelists of all time, with 723 books published between 1925 and the year 2000. Times change, and today’s romantic novels have evolved to reflect the 21st Century lives of their readers. Sweet young innocent heroines who resist the advances of overbearing males have given way to independent women of all ages, with careers and past relationships. What hasn’t changed, is the love story at the heart of the book. Lynne Shelby writes contemporary women’s fiction/romance, and her new novel, The One That I Want, is published on 26 July 2018. When not writing or reading, Lynne can usually be found at the theatre or exploring a foreign city – Paris, New York, Rome, Copenhagen, Seattle, Reykjavik – writer’s notebook, camera and sketchbook in hand. She lives in London with her husband, and has three adult children who live nearby. 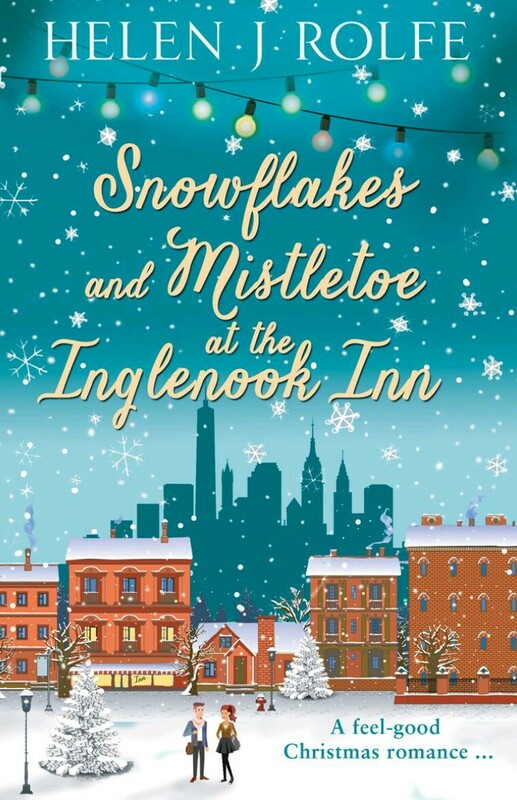 This entry was posted in Exclusives, Guest Post, Nothing But Romance Series and tagged Accent Press, Exclusive, Guest Post, Lynne Shelby, Nothing But Romance Series. There are many reasons why I love reading and writing historical novels. Firstly, I love history. Secondly, I am just a big softie and like nothing better than a Happy Ever After ending. I should like, therefore, to say a big thank you to Frankie for inviting me to contribute to her blog. I began by making a list of things which draw me to my favourite era, the Regency. As it grew, just for fun I thought I would make it a Romantic Fiction ABC. Here, then, is my Top Twenty of why I love Historical Romance novels. I just love Georgian architecture, whether as a London town house or a beautiful country mansion. There is something hugely romantic about the arrangement and shape of windows, pediments and porticoes; of marbled floors and the symmetry of rooms around a central entrance hall; of rococo plaster work on ceilings and mantelpieces, and – far from least – the glorious richness of murals and ceiling paintings. Some ladies find attraction in Giorgio Armani, Gucci and Boss. Not so this romantic author. For me, men in breeches, neckcloths and elegant coats, with top-boots or Hessians, have a swoon factor the half-naked men depicted on some modern covers just don’t have (not that I don’t appreciate a manly chest, you understand!) The sight of Richard Armitage’s Mr. Thornton will always win the heart over his be-stubbled Guy of Gisburne. Although… ahem. There is just something about a four-in-hand and a beautifully turned out equipage that modern cars cannot emulate. Although they were nowhere near as comfortable to travel in (and I appreciate many will disagree with me), cars have nothing to compare with the jingle of harness, the stamp of a shod hoof, the snort of the proud ‘cattle’ poled up. Flying feathers, tossing manes, swinging tails; the glorious, pungent smell of sweat glistening on warm equine hides… ah, sweet bliss to the horse fan! The Edinburgh – London Mail, J.F. Herring Snr. What can be more romantic than beautiful gowns with frills and flounces? I will confess they have never been my idea of comfortable clothing, but I love to see them and certainly wouldn’t mind possessing an elegant riding habit. I love to read a book where the author has taken the trouble to describe what characters are wearing. For me, that is part of the magic of historical fiction – to be carried away to another time, to escape reality for a while. I hope I succeed in sweeping my readers away to the world my characters inhabit. The Georgian era is renowned for its elegance. Georgette Heyer’s heroes appreciate a well-turned ankle, do not leer over some Page 3 girl. Beautiful porcelain, cut glass and tableware; delicate fans, with their own discreet language; pretty frills and fichus; embroidery, lace and silks; the smooth rotation of a perfect waltz… the instances are many. When I have time, reading a well-written novel or watching an historical drama takes me away from the ordinariness of everyday 21st Century life and allows me the illusion such elegant living has not gone for good. Having longed for a Hygena bedroom in my youth, I now appreciate the beauty of hand-crafted wood and especially that of the Georgian age. I love most old furniture, even utility stuff made during WWII. I should love to have a big kitchen with Welsh dressers, solid oak tables and cupboards. Part of the romance of the Regency era, though, is the elegant mahogany and marquetry you find in many a National Trust property. One day, I have promised myself, I will have Georgian-style winged armchairs and elegant side-tables! Georgette Heyer is the reason I am writing this blog. Had it not been for discovering her books when I was about eleven or twelve, I probably would not be where I am today. She is the Queen of Regency and although she dismissed her novels as ‘fluff’, you would be hard put to find better written romantic novels. I love her style and wit, her masterly descriptions and the sense of fun her novels convey. When you laugh out loud at a book, it can only be a winner. May I proffer humble thanks, ma’am. I admit it. I am a sucker for a happy ending. While there can be an emotional satisfaction in a sad conclusion to a story, if that is what the plot demands, I do like to see my characters happily settled at the end of a novel and I prefer to read books with either a happy ‘ah’ ending or a witty one. Georgette Heyer was particularly adept at the latter and it always left me with a warm feeling. I try to do that with my own stories, because romantic historical fiction should be about escapism. We have enough reality in this modern world. I love visiting a stately home and seeing a room decorated as it would have been in eras gone by. It is fascinating, especially when it is done in Regency style. Old buildings have an amazing atmosphere. Although a ruin, Witley Court in Worcestershire has the most wonderful feel of secrets and ghosts from times long past. Many years ago I was lucky enough to visit Salzburg in Austria, where the fortress is alive with the spirits of previous centuries. (No, I’m no madder than any other writer, honest!) I try and convey this to my readers through my writing, because for me, romance is not only about the love story. Love. One of the strongest emotions, it comes in so many forms: Love of life, a subject, a place, a view; love of family, of friends, of pets… and of that one special person in your life. Love is all you need sang the Beatles and they weren’t far wrong. Love makes the world go round. Within the pages of novels from the Circulating Libraries, ladies of the Regency found solace from their humdrum lives and loveless marriages. Nowadays, we buy romance novels by the zillion, just for the sheer pleasure of that perfect, joyful connection with another person. There are few more satisfying feelings than reaching the end of a wonderful book with a happy ending. That warm, fuzzy sensation is love in itself. I am a traditionalist, and appreciate it when a gentleman holds open a door for me or a child says please and thank you. I’m aware I am a dying breed and yes, I am perfectly capable of opening my own door, but it is nice to have it done for me. It is nice when a gentleman helps you out of a car (or down from a carriage!) It is nice to be escorted on a proffered arm and treated with old-fashioned courtesy. It is particularly nice when the gentleman next door mows your front verge with his ride-on mower to save you having to struggle with your old electric one! I love that about Regency novels, that even when people were insulting each other, it was couched in such a manner as to be civil, rather than screaming abuse heavily littered with profanity. There have been lots of great names throughout the centuries which are now virtually obsolete. Joscelin, for a man, is one of my favourites and finally found its owner in the hero of Carpet of Snowdrops. There is a certain romantic beauty in many old names, I feel… although perhaps not Godfrey, Wat or Alf! Heroines must have something about them. They must be strong and engaging and preferably have some trait or quirk which makes them unique. That strength need not mean they are independent and headstrong, but that they can deal with whatever ‘life’ throws at them in a fashion which is enjoyable to read. They must also behave in a manner befitting the era they live in. If a Regency heroine talks and behaves in the manner of a modern miss, it throws me out of the story. It is part of the charm and romance of an historical novel to discover how the heroine can claim her hero without overstepping the bounds and mores of the time. I just love old inns, especially if they still have their original stable yards! I am fascinated by the history of them; the stories of past landlords and noble (or well-known) patrons, of smugglers and highwaymen, of ghosts and crimes. I am also fascinated by the growth of such buildings and how they became famous. Romance comes in so many forms. What reader of historical romance doesn’t love a rake or a rogue? With a nod to Frankie, this article would not be complete without them! I admit I do have a soft spot for one – provided he has some redeeming features, loves his lady and is reformed (or at least faithful) by the end of the book. He must be tender as well as masterful and recognize his shortcomings. After all, a gentleman with experience is better set to please his bride! Perhaps my favourite literary rake is Damerel in Georgette Heyer’s Venetia. John Wilmot, 2nd Earl of Rochester, a most infamous rake. Well-written and well-researched novels are a fascinating window on the way people lived in a previous time – and what a great way to learn! This is one of the best of the many facets of Georgette Heyer and Jane Austen novels: the historical detail. I love to know what people ate, drank, slept in, sat on, used, wore and did for recreation and entertainment. I’m just a nosey so-and-so! As a horse lover, a visit to London isn’t complete without a look-in at Hyde Park Corner and a walk down Rotten Row. The most famous horse sales and bloodstock agency in the world began life here, founded in the 1770s by Richard Tattersall. The Duke of Kingston’s former groom and trainer rented land behind St. George’s Hospital, close to the Corner. It quickly became the place to be seen among gentlemen with an interest in equestrian matters, as well as the place to buy and sell horses. A weekly sale was held and ‘Black Monday’ became the not always humorous nomenclature for Settling Day. It meant the ruin of many an aristocratic name. Tattersall’s is one of the must-see places for young Johnny Raws from the country in any Regency novel. What can be more romantic than a trip down the river to Vauxhall for the characters in an historical novel? Picture the shadowed paths, the tree-lined walks, the music playing and figures bedecked in their finery, flitting like butterflies and chattering like sparrows. It is the perfect setting for a clandestine meeting, a risqué masquerade or an elegant concert followed by supper and a romantic walk along the lantern-lit paths. Such intrigues can be envisaged, such dastardly actions performed, and all for the stroke of pen or press of keypad… Vauxhall was made for romantic fiction! Of all the elements of good Regency fiction, possibly the one I like best is the witty dialogue. While Jane Austen had an acerbic wit, Georgette Heyer was the grande dame of the concept in her novels. I laugh aloud when I am reading her books and that does not happen with many authors. I love it when I find someone who writes with that same sense of humour. Of course, beside JA and GH, the rest of we poor mortals can but aspire. This is one of my favourite quotes and comes from Faro’s Daughter, first published by Wm. Heinemann Ltd. in 1941. “But you cannot let the race go like that!” cried Deborah, aghast. She has her own voice, but likes to follow traditional Regency precepts and pen uplifting stories with witty dialogue, engaging characters and bags of emotion. Visiting her Dark Side as Vandalia Black, she writes Vampire and Paranormal romance. She is the author of ‘Vampires Don’t Drink Coffee and Other Stories’ which includes a novella set in the English Civil War. This entry was posted in Guest Post, History, Nothing But Romance Series and tagged Guest Post, Heather King, History, Nothing But Romance Series, Romance. I’ve always adored romance books. Right from the moment I picked up my first one at twelve I’ve been hooked. Fabulous Harlequin Mills & Boon authors like Nora Roberts and Penny Jordan took me to imaginary places and made me best friends with the characters they created. By the time I left school, I had a secret dream to write them one day. I never dared tell anyone because I’d have been laughed at. Girls like me didn’t become authors. However, as time went on and I read more books than I dare count, that dream became more insistent. After years working in the media I switched careers and became a history teacher. A little while later, I picked up my first regency romance and it was magical. Dashing men in boots and breaches, feisty heroines who gave them a run for their money, rich period detail- what wasn’t to love? There and then I decided if I ever wrote a book, it would be a historical romance. Three years ago, I finally plucked up enough courage to quit my job and follow my dream, then spent the next year writing three books. Not one was good enough to be published but those stories allowed me to teach myself how to write well. My fourth attempt felt different from the outset. Special. The characters spoke to me and the story flowed. I never plotted a single paragraph, instead I listened to their voices and wrote what they wanted me to write. I finished it in just five weeks and plucked up the courage to send it to Harlequin Mills & Boon. In May 2016, That Despicable Rogue became my debut novel. It soon became apparent that not only could I not plot to save my life, but that I am prolific. All those years of daydreaming meant my odd mind has no trouble concocting characters, and once I introduce the characters to each other, they decide the direction of each book. 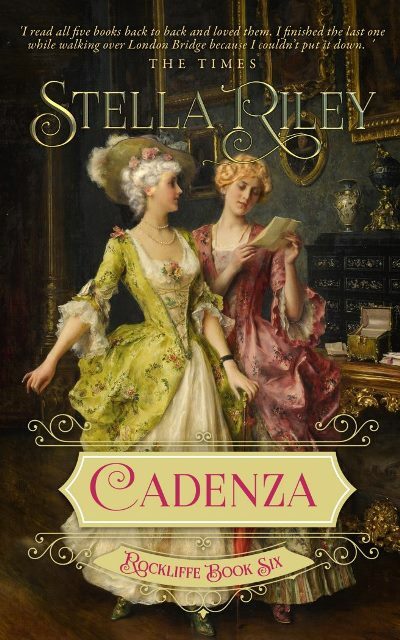 I am currently writing my eighth Regency for Harlequin, something which I know is mad seeing as my first book only came out eight months ago, and each has been completely different. The only similarities have been my feisty heroes, even feistier heroines and the bursts of humour which spill naturally out of my pen. I call them Regency Romantic Comedies. So far, I’ve written about kidnapping, war, family feuds, a pair of talking horses, a foolhardy wager, four gorgeous brothers and the murky world of smugglers. I’ve been inspired by Shakespeare, Grimms’ Fairy Tales, Hollywood musicals, a history documentary and a door knob. Yes, you did read that right! It was hanging by a thread on my daughter’s bedroom door because she has a tendency to flounce and slam said door. In my odd mind, in walked a tall, feisty yet sensitive heroine and Her Enemy at the Altar was born. When Virginia Heath was a little girl it took her ages to fall asleep, so she made up stories in her head to help pass the time while she was staring at the ceiling. As she got older, the stories became more complicated, sometimes taking weeks to get to the happy ending. Then one day, she decided to embrace the insomnia and start writing them down. Fortunately, Harlequin Mills and Boon saw some potential in her stories and decided they would publish them. So far, she has been commissioned to write ten books for their Harlequin Historical series. Her first Regency Romance, That Despicable Rogue, was published in May 2016, and since then she hasn’t stopped writing. Her 3rd book, The Discerning Gentleman’s Guide was shortlisted for a RONA (Romantic Novel of the Year Award). After the success of her Wild Warriners quartet, she is currently working on her second series for Harlequin Mills & Boon Historical- The Kings Elite- which should hit the shelves in the Summer of 2018. She would love to hear from you on either Facebook or Twitter, especially if you love history as much as she does, and promises to try to remember to Blog about something interesting every month. 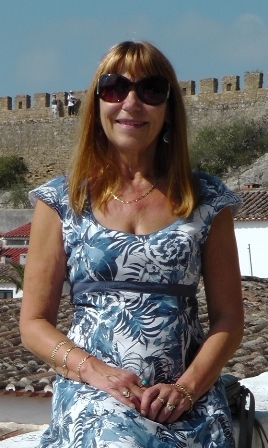 A former history teacher and enthusiastic tea drinker, Virginia lives near London with her wonderful husband and two teenagers. When she is not making up stories of her own, Virginia likes to travel to far off places, shop for things she doesn’t need, walk her beloved Labrador Trevor and read other peoples’ stories. Despite all of that, it still takes her forever to fall asleep. 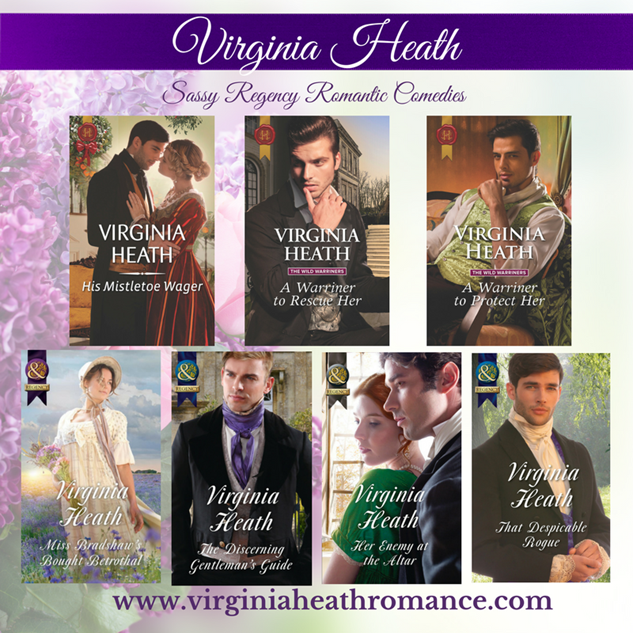 This entry was posted in Guest Post, Nothing But Romance Series and tagged Guest Blogger, Guest Post, Historical Romance, Nothing But Romance Series, Virginia Heath. 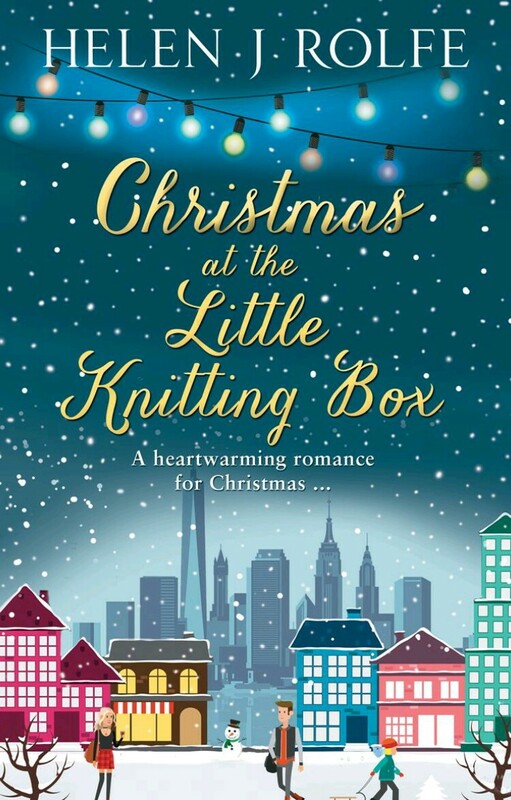 Today I have the huge pleasure of chatting with Helen J Rolfe; Author of Women’s Contemporary Romantic Fiction including, Christmas at Little Knitting Box, plus exclusive Guest Post, Spotlight, Excerpt and Giveaway. I think my first favourite memory would have to be when I was little and it snowed. It was years ago but I still believed in Santa and that year he gave me a bike. I insisted I went out on it – my parents must’ve enjoyed the experience! – and I didn’t let the weather stop me at all. That year we built an igloo with our nextdoor neighbour and a snowman too, and it was completely magical. I also remember at school, that we had a homemade postbox into which you put Christmas cards. Then every day the cards would be left on your table in class for you to open. Cards aren’t sent as much nowadays and it’s a real shame. My next favourite Christmas memory has to be my first Christmas in Australia. I had a friend staying with me and we were in a 15th floor apartment with no air conditioning and it was so hot! But we were determined to have the full roast dinner. We went out shopping the day before but on Christmas day found we had no potatoes, so went out in search for them. We never envisaged getting stuck in a traffic jam! In the UK roads tend to be quite deserted, so this was a first. Anyway, we had a good laugh about it, but every year when I roast the potatoes it reminds me of that time. Over the years I’ve always loved Christmas but even more so once I had my own children and they believed in Santa too. Shopping in secret was always interesting, returning to the house and hiding everything away. The problem was, I’d then forget where I’d hidden it so it would take me forever to find everything. I remember it was always a case of late nights wrapping, my husband keeping watch in case either of the children came out of their rooms and caught me, and one year we were up until well after midnight assembling a cubby house in the back garden and a toy kitchen. It’s actually far easier now they’re older, but there’s something about kids at Christmas that makes it so special. Every year I think my favourite memory is the Christmas dinner and cooking it. It takes forever, but it’s the only time we have all the trimmings, with the pigs in blankets, the mince pies afterwards, if we have any room, and all sitting around sipping champagne. Frankie Hi Helen, Welcome to Chicks, Rogues and Scandals! Thank you for taking the time to chat with me today. Firstly, what five word’s would you use to describe yourself? Helen I think I’d love to go back to the 2000’s in Australia. It’s when I first went over there and I fell in love with the country. I was in my twenties too, with a good job and free weekends, so I’d like to do a lot more exploring! Helen Wonder Woman! I think growing up with two brothers meant I watched a lot of programs with male characters – batman, spiderman, superman. Wonder Woman was something else entirely and she was also beautiful. Helen I would say I’m much more of a summer person than a lover of winter. When the sun shines it makes me feel so much more energetic and I love the long days and evenings too. It means we can get outside as a family which is one of my favourite things to do. I think I’m very much in love with the idea of winter rather than actual winter itself. I love photos of snow covered landscapes, log cabins, cosy fires and a small amount of that is wonderful, but not too long or I get fed up. Christmas is a fantastic time but once it’s over, I’m really, ready for the sun to come out again! Helen I think I’ll always have a soft spot for Evan in Handle Me with Care. He has such a battle on his hands but he’s a gorgeous man inside and out. He’s also from Melbourne, my favourite city in the world! Helen Everywhere! People I meet, places I visit, things I read. When I’m out and about I’m forever putting notes into my phone and then sending them to myself in an email. I have lots of ideas stored away in an email file so when it’s time to plan a new book I have lots of information. Helen 1. Read lots. I think we learn a lot by osmosis. We widen our vocabulary, learn about character and plot development and can see how other authors put together a story. 2. Start! Sit down and get writing, and give yourself permission to write rubbish. The first draft is always messy but you can always edit a messy draft. You can’t edit a blank page! 3. Surround yourself with other authors. Writing is a lonely occupation but by talking with other writers online or in person, it can really help. It’s good to know the struggles you have are often the same as others are experiencing, and it encourages you to keep going. Helen Judy Blume because I love, love, love her books. I found them to be refreshingly honest. Nicholas Sparks, because he is a brilliant storyteller, and I would love to ask him about his writing process and where his ideas come from. Lianne Moriarty because this woman can weave a brilliant plot! I would love to know how she does it, how she plans and finally makes a start. Thank you for chatting with me Helen, it was lovely having you visit. This entry was posted in Blog Tour, Exclusives, Guest Post and tagged Author Interview, Exclusive Excerpt, Guest Post, Helen J Rolfe.